seeking her expertise and creativity to assist them with complex cases in the trial court. Ms. Haas serves as appellate counsel for clients who must file or defend a civil appeal in a Florida or federal court. The firm handles appeals in the 3rd, 4th, 5th, 1st and 2nd Appellate Districts of Florida, the Florida Supreme Court, and the United States Court of Appeals for the 11th Circuit. Over the years, the firm has obtained dozens of reported appellate opinions in the Florida Supreme Court and each of the appellate districts, including many signficant victories and precedent-setting decisions. Trial lawyers often bring in an appellate attorney for the appeal. Appeals are highly technical and formal, and an appellate attorney may be better able to frame the issues that will prevail. Appeals require different skills than jury trials. The best trial lawyers rely upon charisma and oral advocacy to persuade a jury of laypersons of their view of the facts, while the best appellate attorneys persuade a panel of judges based primarily upon their writing about facts and testimony appearing in the record, and applying those to the law. Appellate attorneys are adept at logic. They know to argue preservation of error, standard of review, and stare decisis. They know when to argue for an extension of the law. They know how to get their points across in the few minutes allotted to oral argument, and welcome rapid-fire interruptions from one of the three judges, seeking back-up in the record for a specific point, or a response to the implications of a particular legal argument. In the trial court, Ms. Haas's assistance can be invaluable in addressing issues important to resolution of the case, a successful trial, or ensuring all bases for defending or attacking a judgment on appeal remain available. Sometimes clients may have hearings in the trial court while the appeal is pending. The firm will either work with trial lawyers to protect the client's appellate rights, or at times, appear in the trial court on behalf of the client. Trial judges may be more likely to follow a trial lawyer into the cutting edge of the law, knowing that a top appellate attorney has his or her back. Attorneys may want to bring in an appellate specialist on an hourly basis to prepare or respond to pivotal summary judgment or post-trial motions, prepare jury instructions, or prepare or respond to motions in federal court. For personal injury cases and some commercial law cases, trial lawyers can obtain valuable guidance and assistance by retaining Ms. Haas on a contingent basis. Family law attorneys might want to bring in an appellate attorney on an hourly or flat-fee basis for exceptions or extraordinary writs. A party who wants to appeal a non-final order or final judgment must act promptly. Typically, an Appellant has only thirty days to file the Notice of Appeal. To comply with the appellate rules, trial transcripts must be promptly ordered from the court reporter, and the clerk advised what items should be included in the record on appeal. A party who has won at trial, but just received a notice of appeal from the other side, also must act. An Appellee needs to decide whether or not to file a Notice of Cross-appeal, which should be done within ten days of receiving the other side’s Notice of Appeal. Appellee may want to advise the clerk to add items in the record on appeal left out by Appellant. 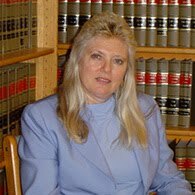 "Karen Haas has handled an appeal for me that was quite extensive, complicated and required clear legal reasoning and original thought. Her concise, well researched final product was the best piece of legal work I have seen in 27 years. I have done a number of appeals that were less complicated, which has given me reasonable insight on the quality of legal work needed in the appellate area for briefs that transcend the "normal." Karen not only possesses those qualities, but her talent and style of writing is unsurpassed in my experience." Due to her superior research, writing, and oral argument abilities, over the years Ms. Haas has been honored to associate with premier law firms with a national reputation for success. Spence, Payne, Masington, Needle & Eversole, P.A.